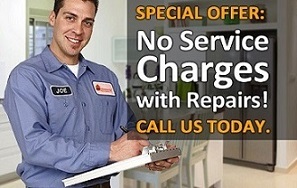 The service charge will be waived if you approve the estimate and have us repair the appliance. Some brands, locations, problems, or installations have a higher service call fee. This will be quoted when you call us to schedule or when we confirm your self booked appointment. 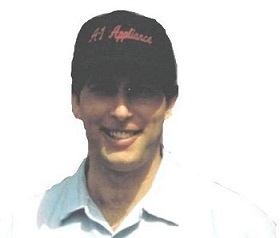 A1-Appliance provides affordable quality in home appliance repair in Antelope, Auburn, Cameron Park, Carmichael, Citrus Heights, Davis, Dixon, El Dorado Hills, Elk Grove, Fairfield, Fair Oaks, Folsom, Gold River, Granite Bay, Lincoln, Loomis, Newcastle, Orangevale, Penryn, Rancho Cordova, Rancho Murieta, Rescue, Placerville, Rocklin, Roseville, Sacramento, Vacaville, West Sacramento, Woodland and communities in between. Copyright � 2016 A1-Appliance - All rights reserved.